I’ll let you know when you can know, lol! 😉 K? These have been an absolute life saver while using this EFG loom from Decor Accents! 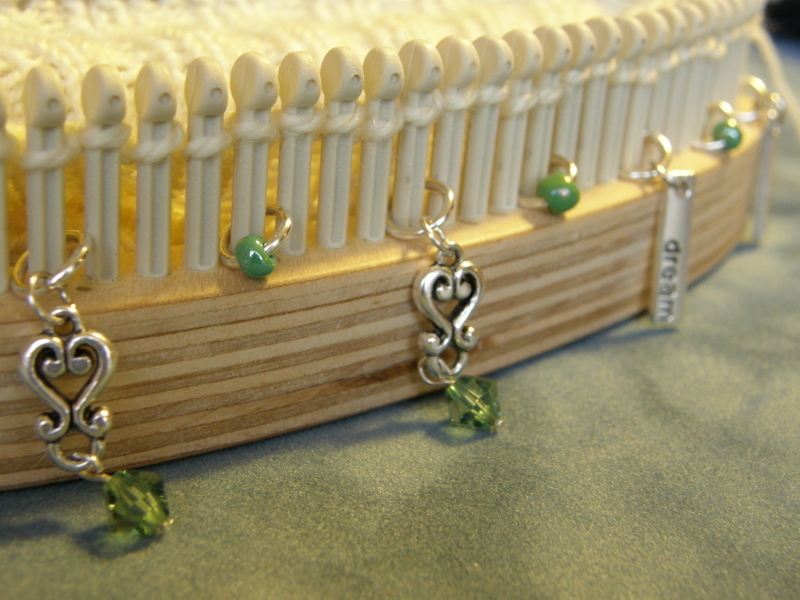 These little pegs are sooooo tiny, and there are so many of them in one row (72!) that I’d lose my way quite regularly if it wasn’t for these little pretties, marking my way as to what comes next. They’re so easy to make, too! All you need are some 4mm jump rings, metal rings that will fit nicely over your pegs (I found a set of loops, Metal Madness brand, at Michaels that comes in a package of mixed rings, the larger of which fit over the KK pegs nicely as well! 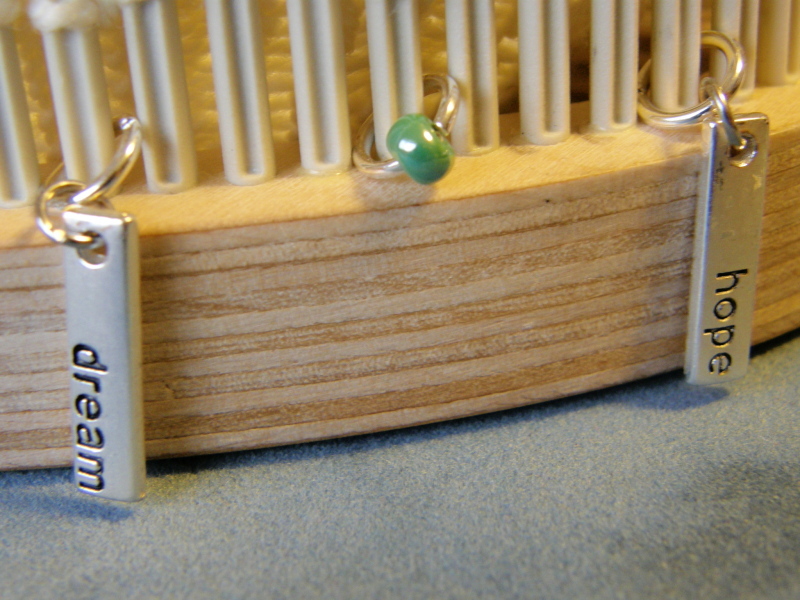 ), charms, and E-beads…oh, and of course a pair or 2 of needle nose pliers come in very handy. 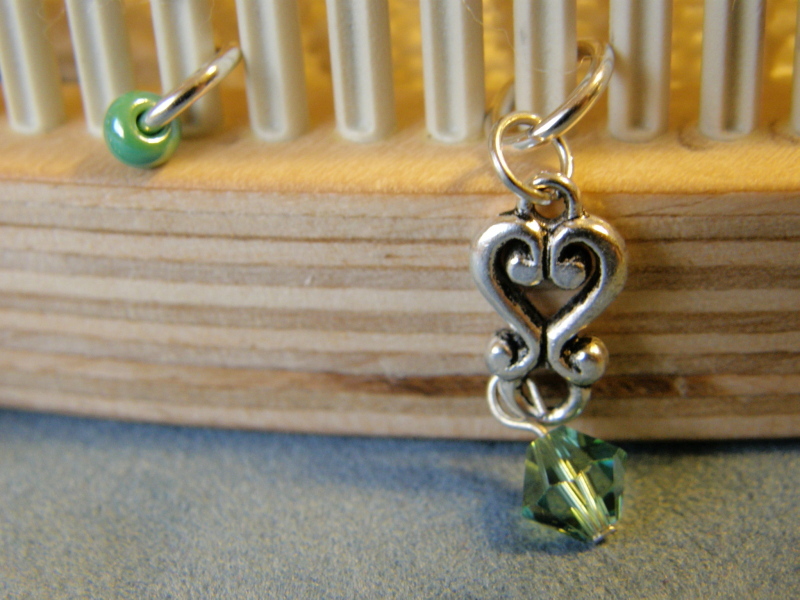 I use them like extended fingers when I’m working with beads, and they make it much easier to grasp these hard to hold objects. Now you can go make some new best friends of your own! Have fun! 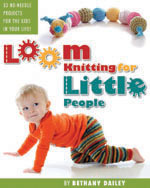 This entry was posted in Beading, Crafting, Goals, Knitting, Loom Knitting, New Projects. Bookmark the permalink.